As the Hebrew month of Av begins, Jews become starkly aware that Rosh HaShanah, the new Jewish year arrives in two months… and they’re two months that will pass quickly. It is time to get ready. In just another week, we commemorate Tishah B’Av, the Ninth of Av, a day Jews commemorate as the anniversary of the destruction of both the first temple in 586 BCE by the Babylonians and the Second in 70 CE by the Romans. In addition, many other catastrophic events in Jewish history – including the expulsion of Jews from Spain in 1492 and the beginning of World War I – fell on that date. Most Jews commemorate Tishah B’Av by reading the biblical book of Lamentations, which places responsibility for our catastrophes squarely on our own shoulders. Its essential message is that we have a Covenant with God, who hopes and expects us to create a just caring and compassionate society, but we did not. Consumed by jealousy and baseless hatred for others, we neglected the poor and needy, failed to treat the elderly with dignity and respect, and spurned opportunities to make newcomers feel welcome in our midst. If on objective examination the judgment feels unduly harsh, it remains—if we allow it to be—a powerful spur to our process of self examination and change as we get ready for the New Year to arrive. After all, the message of Rosh HaShanah, as the anniversary of Creation itself, is that we human beings – not the rhinoceros or the tiger, though they be swifter and stronger than we – are in charge of and responsible for this world and for one another. This coming year, I begin a new career venture as seasonal rabbi at Bat Yam Temple of the Islands in Sanibel, FL. In the past, the rabbi conducted services for Rosh HaShanah and Yom Kippur and then returned when “the season” begins on November 1. In my interviews, I pointed out that I would like to begin before Rosh HaShanah with Selichot and other events in preparation. By way of analogy, I explained that the Boston Red Sox don’t just show up on Opening Day in Fenway Park to begin their season. They train in nearby Fort Myers in order to be ready for the season. Similarly, we Jews should not just show up on Rosh HaShanah and expect to be ready for the arduous season of repentance and atonement that culminates on Yom Kippur. We must prepare our hearts and minds in advance for that sacred task. No one doubts, of course, that any day is a good day to think about how we act and how we can do better. But in its wisdom, our tradition has marked the period between Rosh Hashanah and Yom Kippur as the time to focus on improving ourselves with particular intensity. If we take that assignment seriously, we must prepare in advance. 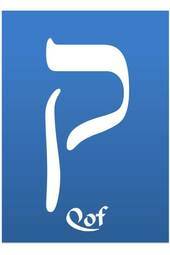 As the Hebrew calendar flips from the month of Tammuz to Av, it is a good time to begin to prepare. This entry was posted in Insights & Inspirations. Bookmark the permalink. Very nice reflection. I tend to think the combination of a day that we commemorate tragedy to our people, and the beginning of the period of teshuva makes for a meaningful day. 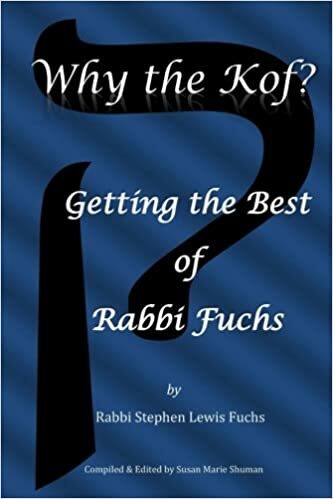 I’m glad that it is gaining more popularity in Reform Judaism. The biggest challenge of the day I think is the prohibition of food & drink in the middle of the hot summer, while going to work & everything else essentially is permitted. That challenge makes an excellent start to the season of repentance.